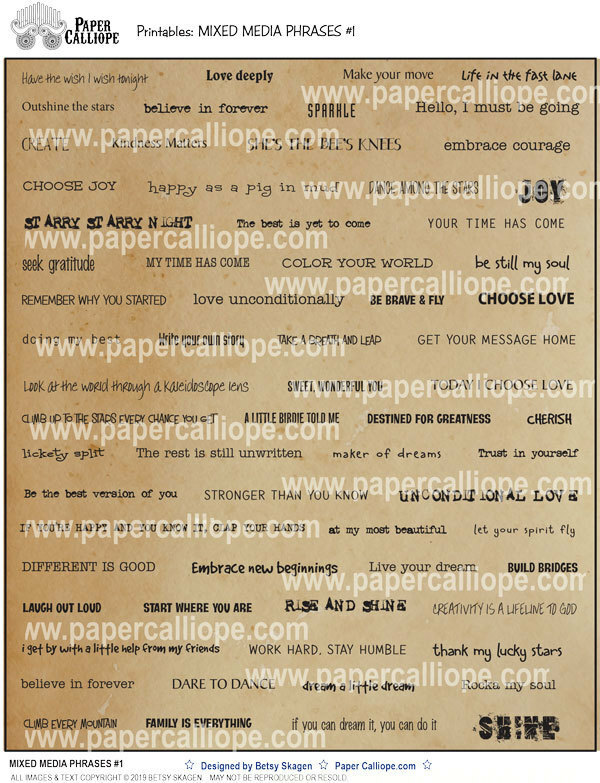 Two pages of phrases for your cardmaking, mixed media, art journaling, scrapbooking and other artistic needs. The first page of phrases has distressed backgrounds, while the second page has the same phrases without any background. The phrases are designed to be cut out from the sheet for use. The product you receive will not have the watermarks you see in the product image. The files are supplied as a PDF, so you will require a PDF reader of some kind to view them. You get the file to keep and download, and can print and use it as many times as you like.